If you’ve just picked up a Google Pixel 2, you may still be finding your way around it. The great news is that some very clever tech people have already gone through it with a fine toothed comb in order to discover all the great tricks it is hiding, like these gems. You have probably noticed that your phone has a display which is always on. That’s pretty neat, but you might not always want it – for example, to hide your notifications for privacy reasons. To change the settings, go into settings – display – advanced and click on ambient display. You can set it to only turn on when you pick up the phone, or stay off until you press the power button. If you don’t like Google Assistant, there is a way to change things for the better. Cortana is waiting in the wings to take over. You have to install Cortana first, but then she will be around whenever you long press the home button. Go to settings - apps & notifications – advanced - default apps, and assist & voice input to turn her on. There’s a hidden dark mode you can access without finding it in the menu options. Apply a dark wallpaper and take a look at the app drawer and the quick settings pane. You’ve gone dark! Nothing else changes, but it’s a nice Easter egg. Head into Google Photos and tap the little lens icon on any image. Google will now try to match what it sees with search results. This is neat, but it can have some very useful real-world applications. Maybe you’ve seen something interesting and don’t know what it is or where it comes from? Take a photo and use Google Lens to find out. The Pixel 2 recognises the music it hears, and displays it on the lock screen. But what about when you want to know what the last song was, not the current one? Use the free app on Google Play called Now Playing History and it will tell you everything, as well as letting you play the songs in your player of choice. 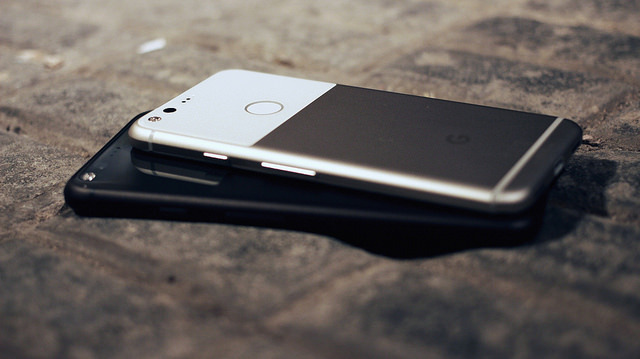 These tips should help you get more out of your Google Pixel 2, and there will surely be more nuggets to come with the next update.